A company that works with ITV and the Metropolitan Police has seen sales soar and its workforce double since moving to Barnsley. 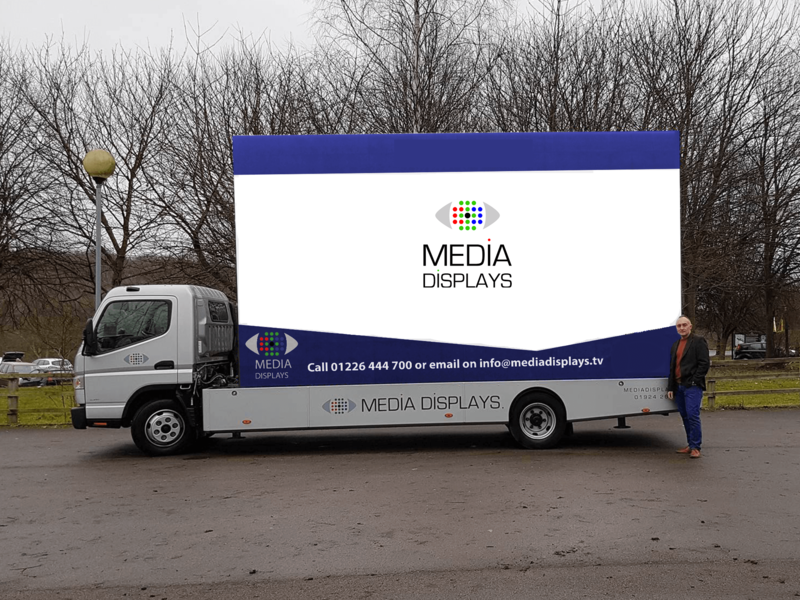 Media Displays, which specialises in digital advertising vans, has taken on 14 new members of staff since relocating to Barnsley from Wakefield. The workforce now stands at 26 and there are plans to take on more drivers, and fill posts in design and account management during the first part of 2017. Sales have also increased by 37 per cent since the move four months ago. Media Displays supply mobile LED advertising and display screens attached to vans, known as ‘digi-vans’. They also supply bicycle versions, powered by pedals, and clients include major supermarkets, racecourses, police forces and premiership football clubs. The company supplied screens to organisers of the 2012 Olympic Games and this year they will work with Tour De Yorkshire for the second time. Media Displays relocated to a 5,000 sq ft unit on Pontefract Road in Barnsley following 12 years of renting property in Wakefield. The company’s relocation was supported by Enterprising Barnsley, who helped them to secure a £37,500 grant to back the move from the Leeds City Region Local Enterprise Partnership (LEP). Ian Taylor, managing director of Media Displays, said: “We needed a space that fitted our current requirements but that still allowed room for further growth, and the unit we found was ideal. We were also attracted to Barnsley because of the excellent links to the M1 and A1, which is vital for us as our vans are up and down motorways every day. In 2010, Ian appeared on BBC’s Dragons Den and was offered £80,000 investment into Media Displays from multi-millionaire businessman James Caan. The deal didn’t go ahead, but the company benefitted from the exposure and after steady growth, turnover in the last 12 months has increased by 63 per cent. Media Display’s plans for 2017 include growing its fleet of digi-vans and digi-bikes and moving further into the outdoor events market, which currently accounts for 25 per cent of the business. At least 20 additional jobs will be created over the next 12 months, and the company will receive further support from Enterprising Barnsley for their recruitment and HR activity. Photograph, supplied by Media Displays, shows Ian Taylor with one of the company’s digi-vans. The vans are often used by police forces to trace wanted criminals or missing people. The Leeds City Region LEP works with public and private sector partners to provide support and funding to help businesses grow, attract new investment to the region and develop the skills, energy and digital infrastructure to create jobs and prosperity.